I have spent some time this weekend working on my 13 skills, in particular, Canning. 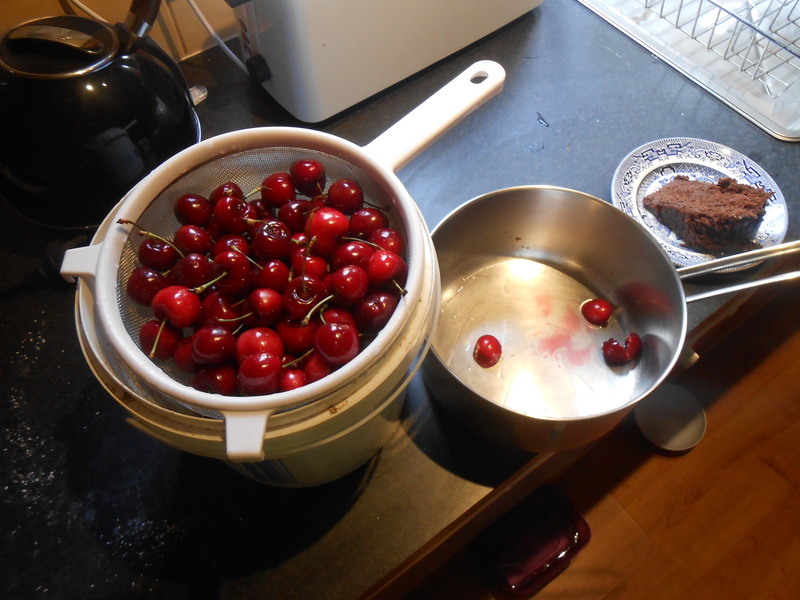 I had plans to put away around 3-6 kilograms of cherries today, yet I was unable to procure the ones I had in mind. I have a friend whose parents own a cherry farm. I had made plans to pick up a large amount so that I could preserve them, yet when I went to the location to pick them up, no one was there. Maybe I mixed up the location or the time, I don’t know. Anyway, I decided to not let the plans go to waste so I picked up 700 grams of cherries from a local produce store. The chocolate cake is from my eldest son’s birthday, which we celebrated today. I do own several cherry trees (5 trees I believe), yet as you can see from the below photo, they are some time from producing anything. I had in the past lost several bunches of cherries to aphids who appear to attack one of my cherry trees relentlessly. That tree died a few months ago, so I am keeping vigilant for any attacks on my last cherry trees. Close up of one of my Cherry Trees (Stella variety I believe). 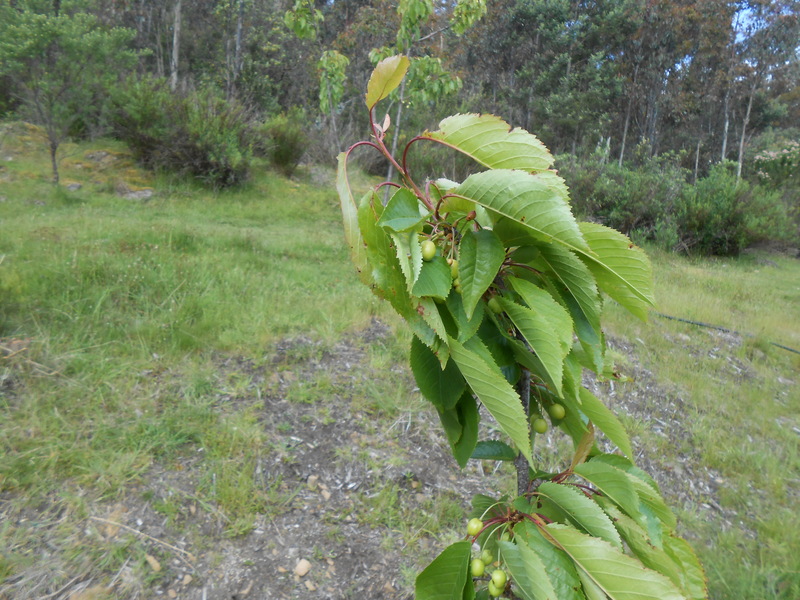 As you can see it will be a month or so before the cherries are ready to eat. The method I intended to use was one I picked up from Edwardian Farm, episode 11. I found that the advice that Ruth used for preserving the cherries which she was provided seemed so sensible. I also used a little info I picked up from Homesteading, by Abigail R. Gehring. Ruth’s advice of adding sugar till it stops dissolving sounds so obvious I am surprised I had not heard it before. 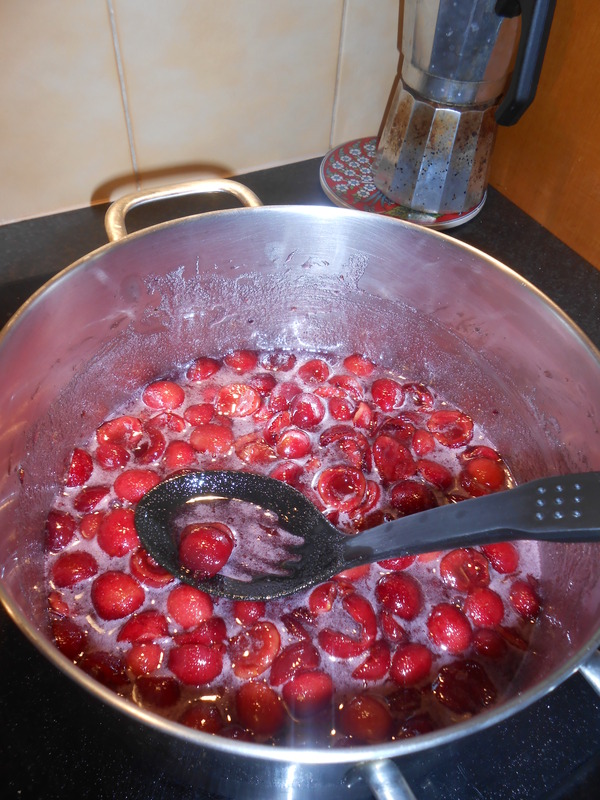 The process of making cherries seems very simple, and you can see it done in the Edwardian Farm episode. I did feel that the syrup I made was a little too sweet, yet I am not too concerned. The sugar will keep the bacteria out, as will the sealed jar. Only one jar you say? Yes, apart from the bowl to the right which I was sampling. While this is only a little success, I am going to call it a victory and claim I have completed my canning skill. I realise I am clutching at the goal I have set. It would have been more fulfilling to make a large amount of canned cherries, or tomatoes as I had intended, yet I am unable to source the materials to do this. 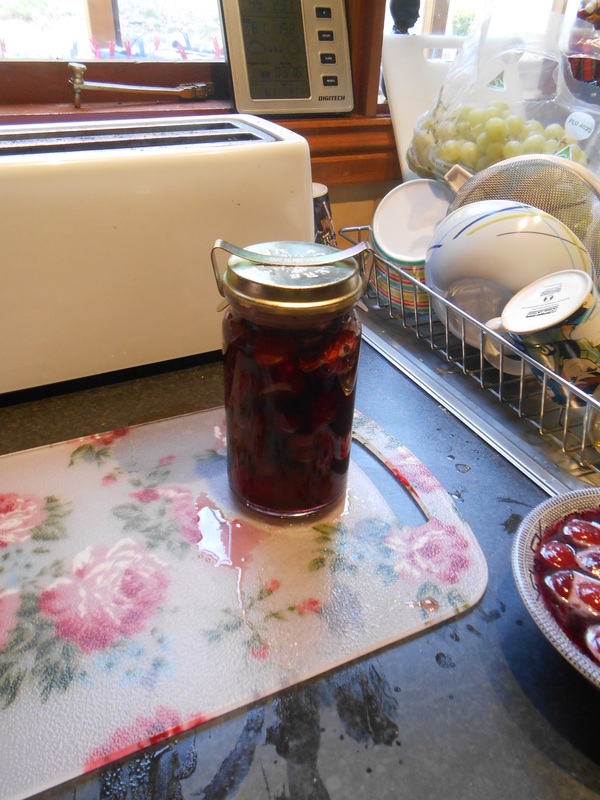 Still, one jar of canned cherries is much better than no jar of preserved cherries.